This book does not duplicate the information in those publications. Instead, it complements them with practical implementation scenarios that can be useful in your environment. 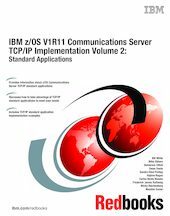 To determine at what level a specific function was introduced, refer to z/OS Communications Server: New Function Summary, GC31-8771. For complete details, we encourage you to review the documents referred to in the additional resources section at the end of each chapter.